As part of this month’s focus on the wellness sector in Africa, LoA heard about this dedicated and inspirational social entrepreneur and was keen to find out more. 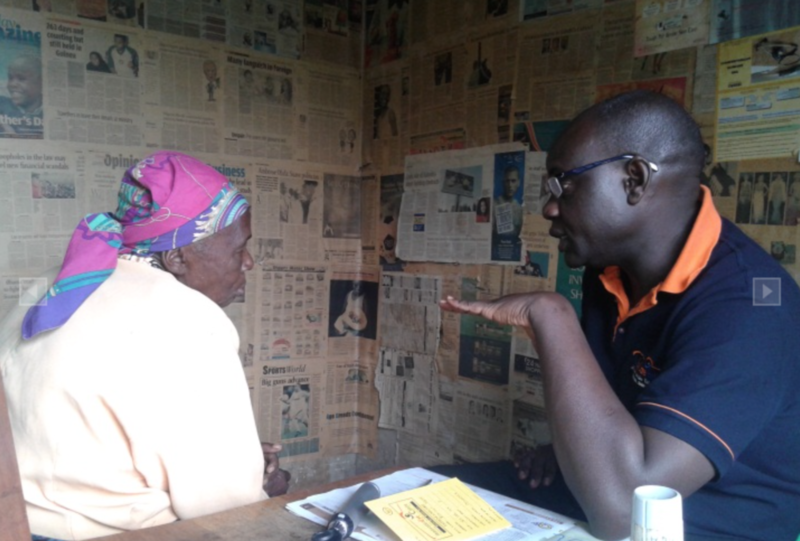 "We realised that people living in rural areas were unable to get specialized medical care because of their lack of finances. So we decided to come up with a private hospital that runs on a hybrid business model. It provides subsidized healthcare to poor residents, but at the same time seeks to be self-sufficient in terms of finances." Jacqueline is a woman of vision. She was born and raised in rural Kenya, and throughout her own life, she always had the desire of improving the life of rural Kenyans. After a studying for her Bachelor of Science degree in Zoology and Chemistry, she married her student sweetheart Daniel, a young eye doctor hailing from the western region of Kisii. They raised a family in Nairobi where Daniel worked in various hospitals. At that time, Jacqueline decided to become a social entrepreneur, as she had an immense desire to start-up a venture solving people issues. In 2012, she enrolled in the MBA offered by ALTIS in partnership with the Tangaza University College in Nairobi, originally with the business idea of setting up a distribution network of solar lamps. 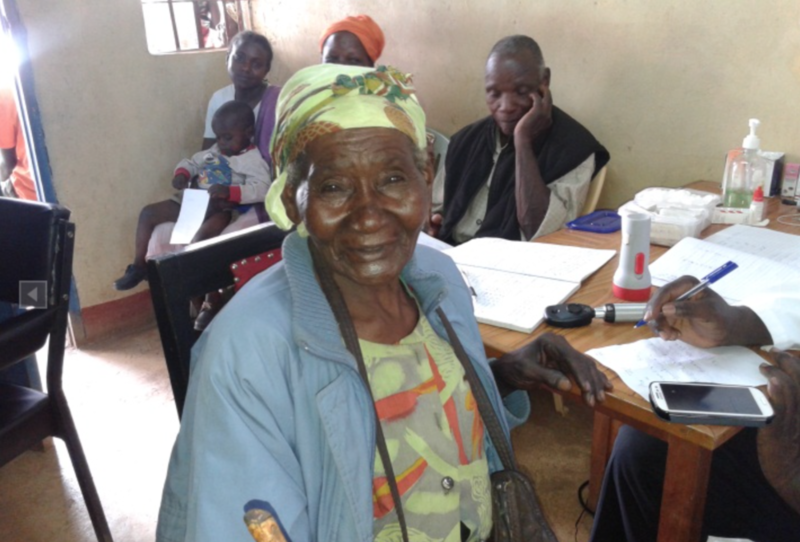 After six months of testing, Jacqueline realized that in fact the real unmet need in rural Kenya was health, specifically eye surgery in Western Kenya, a region with a high incidence of preventable blindness such as cataract and trachoma. 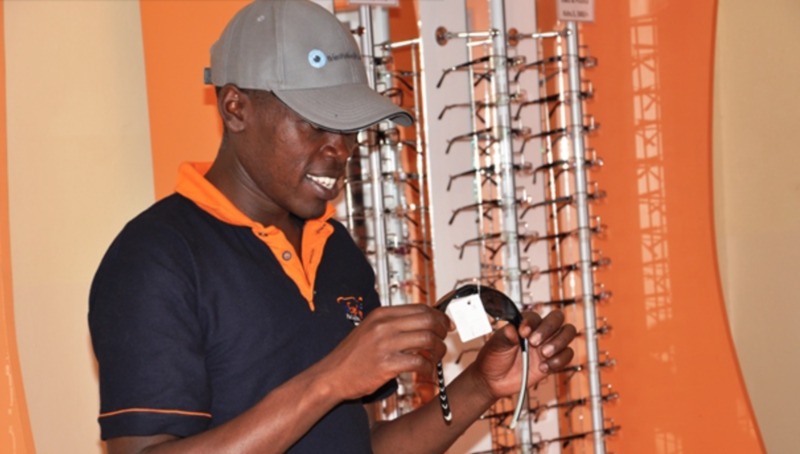 Leveraging on Daniel’s technical competence, the couple decided to start the “Innovation Eye Centre”, an accessible eye clinic adopting a Social Enterprise model located in Kisii town. Few people would think of establishing a private healthcare facility in Kenya’s rural areas as many patients there cannot afford private care. However, many public health institutions face personnel, equipment and essential supply shortages, making the need for affordable private care for rural households even more pressing. "We operate on a social enterprise model, which basically means using business principles and social action to meet the needs of the society in which we operate." Starting with the family savings, a lot of sacrifice and grants and loans from friends, they started their social entrepreneurial journey together. In less than one year, thanks to her determination and hard work, Jacqueline achieved the arduous task of raising more than €600,000 from international donors. “The fact that we were looking to sustain ourselves financially while still helping the community made the project attractive to several financiers” underlines Jacqueline. They then approached a bank for asset financing to buy medical equipment. In 2013, the Innovation Eye Centre opened for business. Today, the hospital serves 70 patients each day, and has employed 20 clinical and non-clinical staff. It operates on a social enterprise model, which basically means using business principles and social action to meet the needs of the society in which the hospital operates. It has a subsidy revenue model with three categories of patients. The first tier is the private one, where patients who desire premium services pay higher costs. The second tier provides for general healthcare services, while the last tier involves meeting the needs of patients who can’t afford treatment. The last tier of patients are served through eye camps held across the region, with diagnostic and eye care services offered at little or no cost. 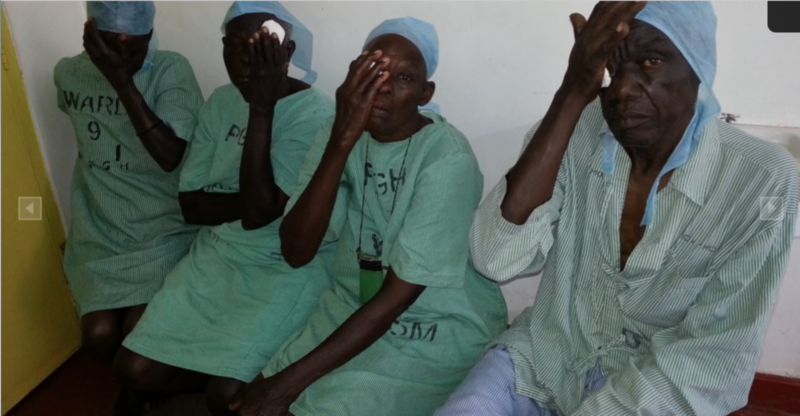 For instance, the hospital carries out cataract surgeries at Sh3,000 (€26), which is way below cost. The Innovation Eye Centre has the capacity to provide specialized treatment and surgeries, and has already served more than 30,000 patients. "Our success is not measured and judged by the amount of profit or surplus we generate, BUT by the number of people who escape avoidable blindness in that particular year." 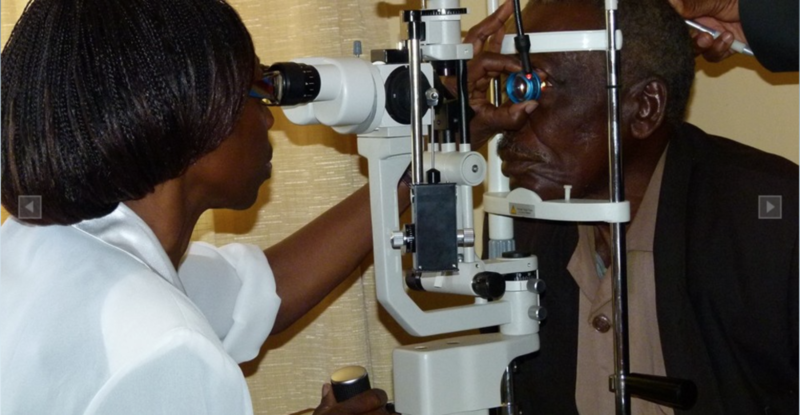 "Our objective is to work and contribute towards eliminating avoidable blindness in underserved and unreached remote populations in Kenya, especially those in the South Western Region of Kenya and beyond." The Innovation Eye Center in Kisii officially opened its doors to the public on November 29th in 2013, with a grand opening ceremony officiated by H.E Hon. Governor James Ongwae of Kisii County. As a result, it became the first Specialty Private Eye Hospital in the South Western region of Kenya. The launch started with a week-long free eye exam and cataract surgery camp where about 2000 people received free eye exams, 354 patients received spectacles at very low prices, 216 patients received vision restoration through free cataract surgery and about 500 patients received vision restoration through glasses and other surgeries. The Innovation Eye Centre utilizes the latest medical equipment and cutting edge technology for eye care, most modern medication and highly qualified staff of international repute. 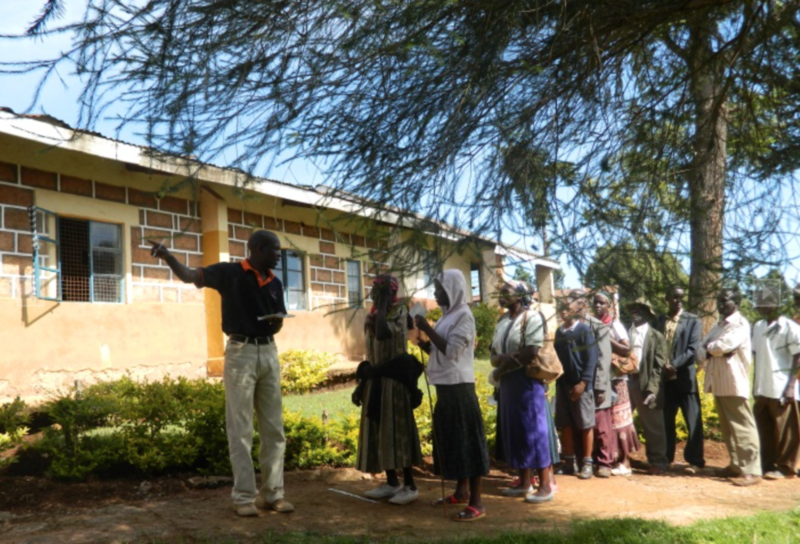 The center receives referrals for care from Nairobi, Eldoret, Kitale and other parts of the country.